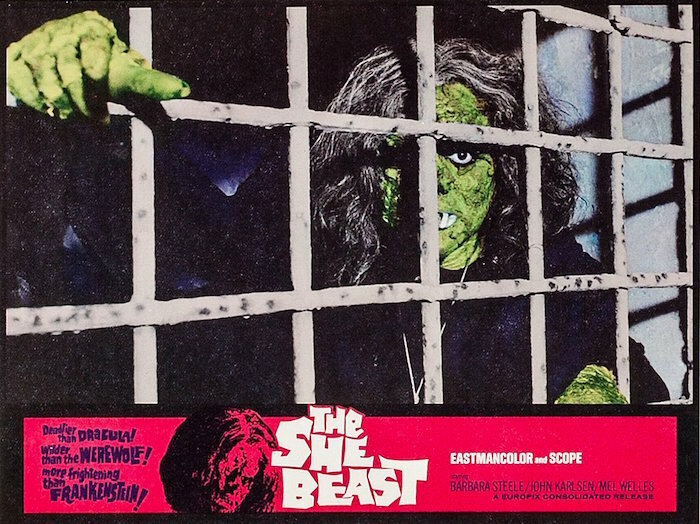 Blu-Ray News #88: The She Beast (1966). Michael Reeves died at 25 with only three movies to his credit. The last of those is the excellent Witchfinder General (1968, known as The Conqueror Worm in the States). The first was an Italian-British co-production, La Sorella Di Satana (1966) — also known by a number of titles like Revenge Of The Blood Beast, The She Beast and Il Lago Di Satana. The whole picture was shot in 21 days. Horror icon Barbara Steele was hired for a single day — which turned out to be 18 grueling hours of work. Raro Video US will bring The She Beast to DVD and Blu-Ray in January.